On episode 30 of Sourcing Matters we welcome Wood Turner, Sr. Vice President of Agriculture Capital. Focused on integrating and operationalizing the firm’s cross-platform sustainability strategies into the 4 staple permacrops they invest in, Turner brings unique background and expertise to the changing dynamic of food production. It’s Agriculture Capitals mission to grow access to healthy, sustainable food. “We’ve assembled experienced professionals from finance, farming, processing, marketing, and sustainability to bring innovative thinking to managing successful food enterprises.” described the firm’s website. Turner has over 20 years of experience in corporate sustainability, environmental management, and consumer engagement. 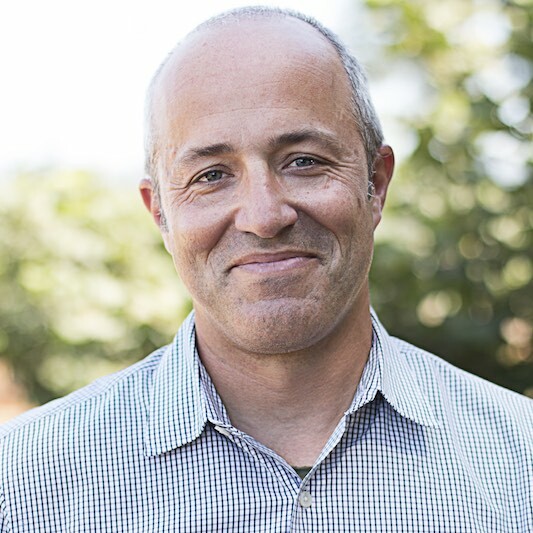 Most recently, he was on the executive team at organic yogurt pioneer Stonyfield Farm as the company’s VP Sustainability Innovation. Prior to that, he was founding executive director of Climate Counts, an international NGO focused on measuring and scoring the world’s largest consumer companies on their concrete, enterprise-level responses to climate change. Wood has consulted to brands, elected officials, and public agencies on mobilizing the public around ideas that improve the environment and build community. Agricultural economist Renee Vasillos joins as co-host of our 45 minute conversation which covers subjects that range from the current state of citrus, consumer engagement, “softening the edges” of investing in & production models that support pollinator health, and the all important topic of water. Private equity often gets a bad rap for being too focused on the deal instead of the value creation. Wood Turner and his team at Agriculture Capital seek to restructure how capital can deliver multi-dimensional returns beneficial to many stakeholders and the shared environment. Full bio: Renée Vassilos is a Dutch-American Agricultural Economist with over fifteen years of agriculture industry experience. Her expertise ranges from strategic market analysis and product development to sales, marketing and distribution strategy. She has lived and worked abroad- three years in Amsterdam and six years in Beijing- contributing to her robust global experience, cultural competence, and network. Today, Vassilos is sharing her expertise through her consulting business. She utilizes her global cross-functional experience from working for the USDA and John Deere to support the growth of sustainability-focused agriculture businesses. She has a BS and MS in Agricultural Economics from the University of Illinois, Champaign-Urbana and University of California, Davis, respectively.